You have done your homework and finally purchased your first handgun. You even found a spectacular holster from a world-renowned Kydex-bender and you are ready to go! All you need now is some ammunition and you will be off to the races. It is then you realize that choosing a handgun was a minor task compared to swimming through the sea that is ammunition choices. Complicating things even more is the fact that ammo falls into generally one of two categories: Training ammunition and self-defense ammunition. While some people carry just “ball” ammo for self-defense, it is not recommended for reasons we will soon discuss. As for using self-defense ammo for training, the biggest barrier there is cost. With that small thought in mind, let’s look at some of the best ammunition in these two categories and help you make sense of it all. First up to bat will be self-defense ammo. The reason we generally don’t want to use our training ammo for self-defense is bullet design. Most training ammo uses full metal jacket (FMJ) bullets. As the name says, these bullets have a core that is fully surrounded by a copper jacket. Because copper is harder than lead, these bullets tend to penetrate very well but they do not expand. Because of that there is relatively little transfer of energy or damage when compared to other bullet designs. FMJ bullets offer good penetration, but don’t transfer energy or create a lot of shock, which are important to stopping an attack. While the term “stopping power” is often used in handgun ammunition discussions, it is not really appropriate unless there is solid shot placement into the head. You will more than likely be forced to shoot an adversary multiple times to convince them their attack was ill-conceived. Our best hope is to punch a hole deep and wide into the bad guy with hopes of it ending the fight. There are a variety of designs, but hollow point ammo has been the go to bullet design for decades. These bullets have a partial copper jacket and lead core that expands and transfers energy. The lead nose of the bullet has a hollow tip that initiates expansion upon impact, the copper jacket slows that expansion, and energy transfer and penetration are balanced. While this does thin the crowd a bit, there are still countless options. It is at this point that we need to look at an unbiased way of choosing good defensive ammunition. The Federal Bureau of Investigation has developed a series of tests for ammunition performance. While the tests were originally designed to measure ammo for agents use, we can benefit from it as well. It is composed of several sections. First up, the FBI fires rounds into something called ballistic gel. It is a firm yet semi-gelatinous material design to simulate human tissue. The test is designed to see how far a round will penetrate the ballistic gel. Next up are barriers such as clothing, drywall, glass and a number of other obstacles that can alter the performance of a bullet. They shoot through the materials and see how the bullet performs. On both of these tests the FBI has a minimum standard of 12 inches minimum and 18 inches maximum into ballistic gelatin. This ideal penetration depth translates to reliable bullet performance to affect vital organs within a human target despite factors, such as angle of impact or intermediate barriers. In that these are hollow points, we need to look at expansion next. The optimal expansion of the round is an expanded diameter of at least 1.5 times the original diameter. This occurs when a hollow point hits a target. The hollow cavity causes the bullet to open or “mushroom” resulting in greater internal damage to a living target after impact. One thing the FBI also does is to weigh the bullet after it has been fired though the material. It needs to stay together past the initial impact to do the job. We must remember that we want the bullet to completely enter our target and expand. In FBI terms, “with the single exception of damaging the central nervous system, the only way to force incapacitation upon an unwilling adversary is to cause enough blood loss to starve the brain of its oxygen and/or drop blood pressure to zero. This takes time, and the faster hemorrhage can occur the better.” The last section is velocity and energy. Ammunition is tested with a ballistic chronograph to measure the muzzle velocity of each projectile. This helps us measure the muzzle velocity and muzzle energy of the ammunition being tested. The more consistently your self-defense ammunition performs, the more reliable it is to you. Now that we have an idea of what helps us decide just what makes the cut, let’s look at some defensive loads in the most common calibers. .380 Auto Federal Hydra-Shok 90gr. Hollow Point ammo contains a post in the middle of the hollow point to give it rapid expansion and deep penetration. This ammo is also very suitable for short barreled weapons and smaller shooters, because it is a reduced recoil round. Federal is well known in the industry and this is great ammo. .380 Auto Black Hills 90gr. 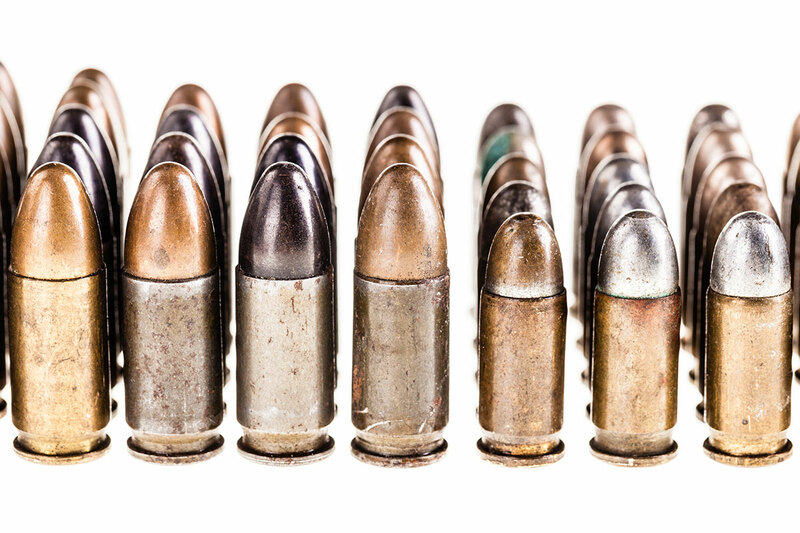 Jacketed Hollow Point ammo is highly respected all over the country. Black Hills supplies all five US military branches with ammunition. There are many Law Enforcement Agencies using Black Hills nationwide. They only use the best components available. This factory-new ammo is very accurate, dependable, 100% non-corrosive, boxer primed and reloadable. These affordable .380 ACP rounds from Hornady represent diehard American ingenuity by way of quality components and data-driven design. The “American Gunner” line-up of ammunition uses time-proven load criteria which has been optimized for function and performance via Hornady’s own cases, primers, and finely tuned propellant selections. Each of these rounds is topped off with an “eXpanding Terminal Performance” (XTP) projectile which weighs in at 90 grains; this is a common weight for the caliber and offers steadfast cycling alongside familiar ballistics both in-flight and at the target. Winchester has been one of the most recognized and respected names in ammunition for more than 150 years. The company continues its tradition of quality and excellence with the Ranger Talon T-Series. Winchester’s highest performing loads, this line of ammunition was designed specifically for law enforcement and delivers unbeatable combination of expansion and penetration. 9mm Federal 135gr. Hydra-Shok Personal Defense Jacketed Hollow Point ammo contains a post in the middle of the hollow point to give it rapid expansion and deep penetration. These 135-grain rounds are also very suitable for short barreled weapons and smaller shooters, because it is a reduced recoil round. Hornady Custom 124gr. XTP Hollow Point ammo is loaded with the Hornady XTP (Extreme Terminal Performance) bullets which are very accurate, and deliver maximum knockdown power. Brass, primers and powder are chosen to ensure optimal pressure, velocity and consistency. .40 S&W ammo from Black Hills is a load you can count on in a self-defense situation. Each cartridge fires a 180 grain jacketed hollow point bullet at a muzzle velocity of 1,000 feet per second, delivering strong expansion and penetration. Black Hills Ammunition is a manufacturer of high-quality defensive and match ammunition. 40 S&W Hornady 180gr. XTP Hollow Point ammo is famous for their ability to expand reliably across a wide range of velocities. The XTP bullet was specially built to withstand incredible velocities, and still deliver controlled expansion and weight retention. Special features in the nose facilitate and control expansion on impact. The XTP is one of the most accurate pistol bullets ever made. With S&W Sig-Sauer Elite Performance Ammunition 165gr. V-Crown Jacketed Hollow Point ammo you can now have the precision you expect from your Sig-Sauer firearm manufactured into your ammunition. Made in a Sig-Sauer owned facility right here in the USA, the V-Crown JHP topped rounds provide an excellent balance of penetration and expansion across a range of velocities. This ammo is brass cased, nickel coated, boxer primed, non-magnetic and non-corrosive. This ammo comes packaged 20rds to a box. Muzzle Velocity: 1090 fps. 45 ACP Federal Personal Defense 230gr. Hollow Point ammo features a jacketed hollow point bullet that expands on impact for maximum stopping power. This ammunition is new production, non-corrosive, in boxer primed and reloadable brass cases. 45 ACP New Black Hills 185gr. Jacketed Hollow Point ammo is very accurate, dependable, 100% non-corrosive, boxer primed and reloadable. Black Hills supplies all five US military branches and there are many Law Enforcement Agencies using Black Hills nationwide. They only use the best components available. It is important to get lots of practice training with the exact firearm and ammo you intend to use for personal defense. With that in mind, Winchester has designed an ammunition pair; one product for training, the other for self-defense. The training round resembles the self-defense as closely as possible, giving you the greatest opportunity for success if faced with a life-threatening self-defense situation. This product is the “defend” round. 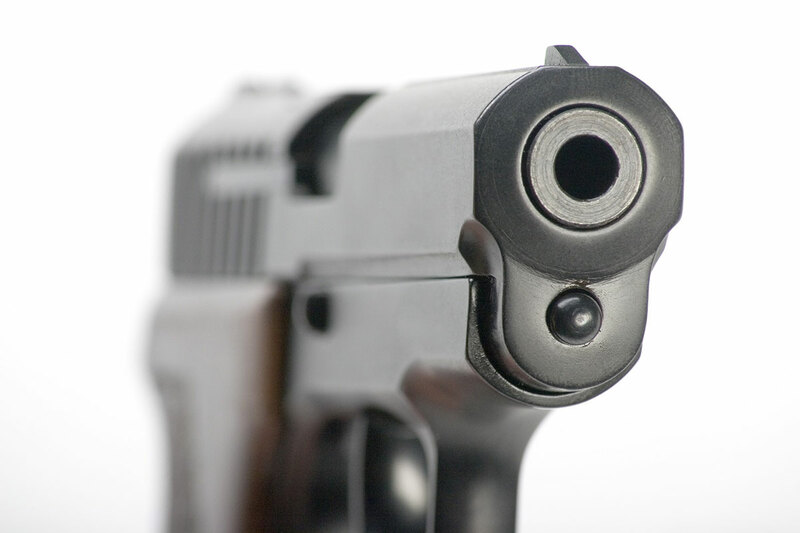 It contains a 230 grain jacketed hollow point bullet, the projectile of choice when it comes to personal defense. Reliable firing and massive expansion will stop your attacker dead in their tracks. Just make sure you also purchase the “train” round, which is sold separately, to take full advantage of this incredible product. These rounds are boxer primed, nickel-plated brass, non-corrosive, and reloadable. While it is important to at least occasionally train with your defensive rounds, it can get very expensive if you do it a lot. Ammo can be an expensive investment over time and it is important to get the best for your money. Things like reliability and cost are two of the most common factors people look at in range ammo. With that in mind, companies produce millions and millions of range ammo each year. Like the defensive loads, some are better than others. Without getting into manufacturing processes and material used I will offer you six options to choose from when buying training ammo. I have not broken these down by caliber simply because these brands manufacture each caliber to the same standard. They all make ammo in a huge variety of calibers and they will serve you well on the range! PMC’s Bronze Line is carefully inspected throughout the entire production process to ensure excellent quality and consistency. This includes an electronic powder-check station that precisely measures the propellant charge in each round. If the propellant in any PMC Bronze Line varies by as little as 2/10 grain, that cartridge is rejected. Their FMJ bullet feeds smoothly and greatly reduces bore leading. PMC Bronze Line ammo enables you to engage in high-volume practice with high-performance ammunition at an economical price. Winchester USA ammunition was developed to provide excellent performance at an affordable price for the high volume shooter. Featuring high-quality Winchester components, this ammunition delivers outstanding reliability. This ammunition is loaded with a full metal jacket bullet which is known for its positive functioning and exceptional accuracy. On impact this bullet does not expand and is ideal for target shooting. This ammunition is new production, non-corrosive, in reloadable brass cases. Since 1926, Magtech has manufactured its own components, bringing their customers full quality control over every stage of the manufacturing process as well as the final product. For over 80 years, we have been dedicated to manufacturing and marketing top quality ammunition products throughout the world. The main objective at Magtech is to provide shooting enthusiasts with absolutely reliable, totally affordable ammunition, round after round. Magtech ammunition is designed, constructed, and tested in one of the largest and most modern small arms manufacturing facilities in the world. Tough quality control standards along with tight manufacturing tolerances on most products in accordance with SAAMI, CIP, NATO, or US Mil. technical specifications ensure reliability, consistency, and safety. Federal American Eagle ammo offers outstanding performance at an economical price – perfect for punching paper at your favorite indoor or outdoor range. Federal American Eagle lets you practice with the same-strength load you’ll actually use on duty, in competition, or in a personal-defense emergency.